What's it about? Exasperated with their oppressive home lives and annoying parents, teenage friends Joe (Nick Robinson) and Patrick (Gabriel Basso), together with their odd little friend Biaggio (Moises Arias), build a shack in the woods and run away to live in it. Will their dream of independence be all that they imagine? Is it any good? Imagine if Terrence Malick made a film that was warm, and funny, and, like, good? 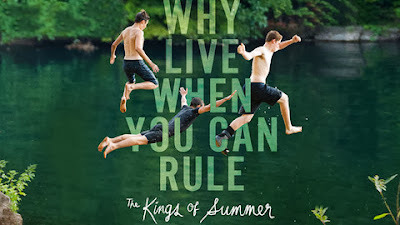 Well then you'd have The Kings of Summer, a charming combination of arthouse, indie sensibilities (with slo-mo photography, arty montages, etc) and traditional coming-of-age drama (with girls, teen angst, etc). It's a mixture which works quite nicely thanks to appealing performances and some genuinely hilarious moments and lines. Yes, it's a slight tale and fairly implausible at times, plus it maybe tries a bit too hard to be deliberately off-kilter. But even if it is likely to fade from memory like those summer holidays of long ago, it's a gentle, winning little film, which is frequently very funny. And it's likely to have you feeling nostalgic for those teenage summer days when you too built a fort, and explored the woods, and kissed a girl for the first time. 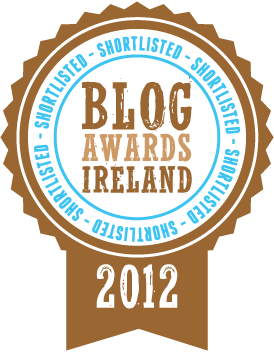 In fact, it's kinda inspired me to have a go a building a fort in the woods sometime soon. And to kiss a girl again. 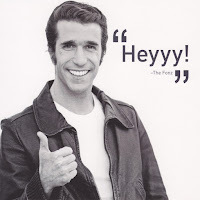 What does the Fonz think? Summer livin', happened so fast, summer livin', had me a blast.